I lobe a good ear pun! 1. 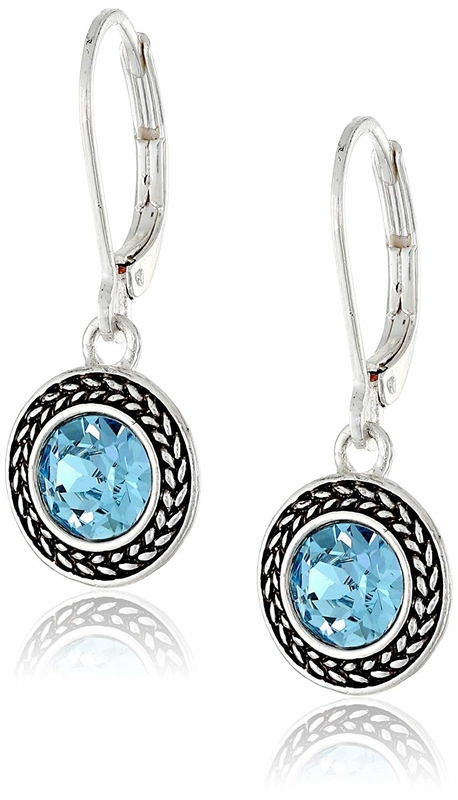 A pair of silver-toned aqua drops to accentuate your blue eyes or love for the deep blue sea. Get them from Amazon for $12+ (available in two colors). 2. A pair of long rose gold dangle earrings that'll add a minimal look to your collection. Get them from MJLuLu on Amazon Handmade for $15. 3. A pair of Mickey and Minnie Mouse studs for anyone as obsessed with Disney as we are. "The happiest place on earth" is now your jewelry drawer! 4. A stunningly asymmetric pair so you can make an artistic statement without even saying a word. Get them from Mango for $25.99. 5. 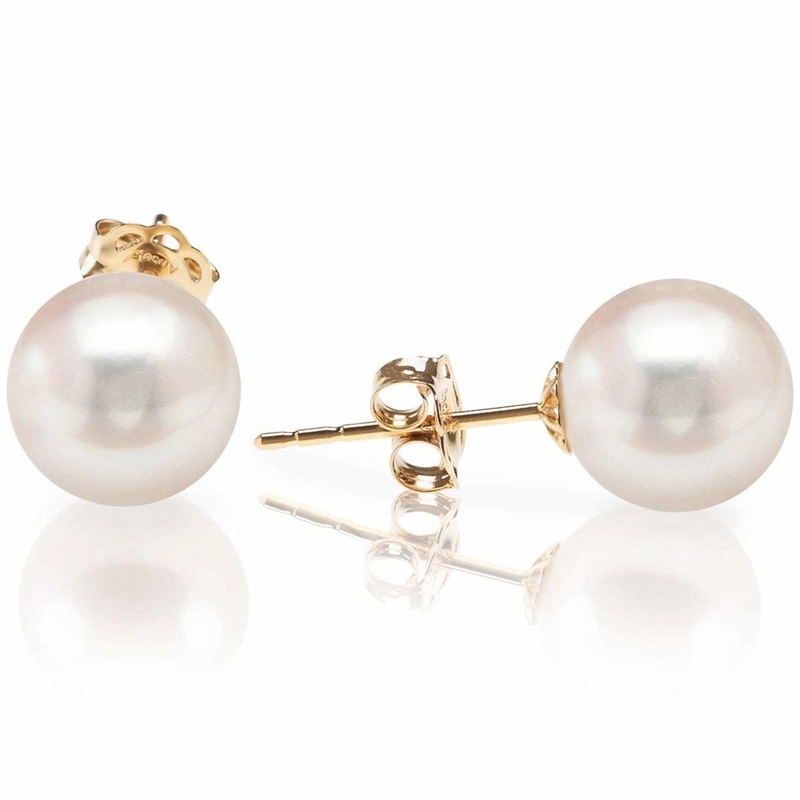 A pair of 14k gold and white pearl earrings because they're a staple in anyone's wardrobe. Get them from Amazon for $49.99. 6. A pair of single letter studs, to be completely honest, I shouldn't have to spell it out why these are adorable and you should get them! Get them from Madewell for $28 (currently available in 22 letters). 7. A set of kitty cat earrings that'll be the purrfect way to tell the world you're a cool person and a cat person. Get them from Modcloth for $15. 8. A pair of gold-plated studs so adorable you will knot believe how affordable they are! Get them from Amazon for $8.99 (available in two colors). 9. A ruby red pair because classic is classic for a reason. Get them from Amazon for $59.99 (available in four colors). 10. 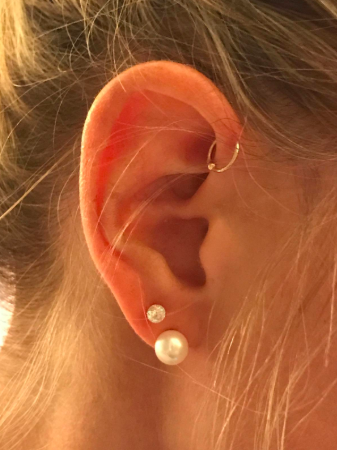 A set of three hoop earrings of various colors and sizes to give you options for your everyday looks. Get them from Anthropologie for $48. Get them from Amazon for $19 (all 12 birthstones available). 12. A pair of star earrings so your wardrobe can shine as bright as your smile. 13. A pair of square drops, because they are stunning AF and everyone is going to ask you where you got them. Get them from Anthropologie for $148 (available in three colors). 14. A handmade pair of leather leaf earrings to add brown tones and different textures into your style. Get them from A New Grace on Amazon Handmade for $15. 15. Twisted rhodium hoops that'll sparkle their way into your heart and into your shopping cart. Get them from Amazon for $18.07 (available in three colors). 16. 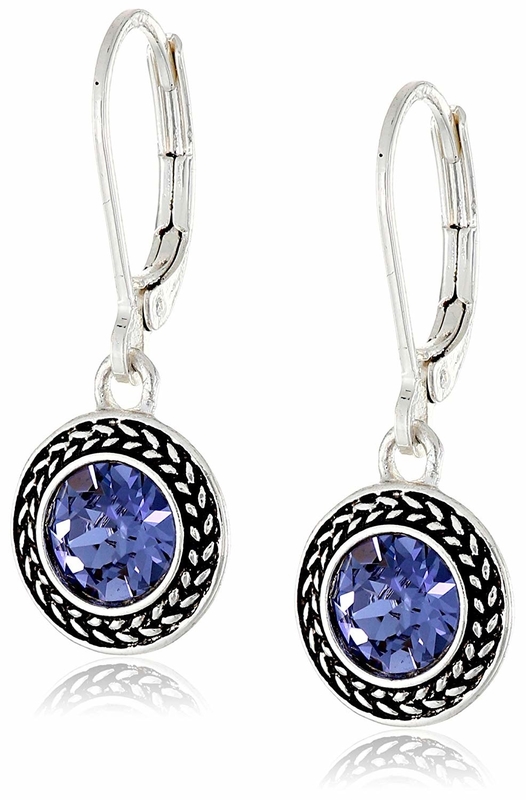 A pair of dangles for anyone who likes to put their hair up and have their earrings be the star of the show. 17. A pack of six effortless studs so you don't end up wearing the same ones over and over again. Options are so fun, especially at this price! Get them from Urban Outfitters for $22 (available in three varieties). 18. A pair of statement earrings, because life is too short not to throw in some stunning textures and color every now and then! Get them from Asos for $23. 19. 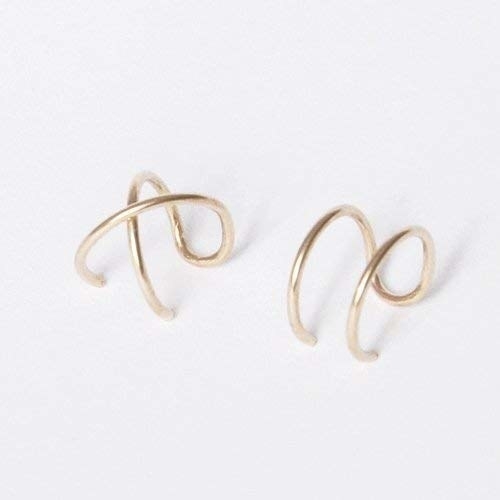 A set of two criss-cross ear cuffs that'll be a new staple in your everyday outfits. Get them from Amazon for $29.95. 21. A pair of coffee bean dangles that'll for sure let you espresso yourself to the fullest. hehehe. Get them from The Madres Collective on Amazon Handmade for $14.99.